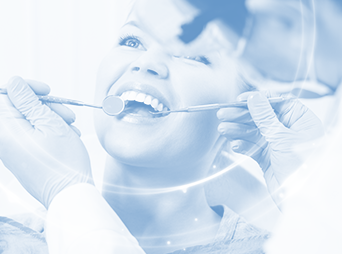 Contemporary cosmetic dentistry has created many possibilities to improve the appearance of our teeth. Modern technologies and knowledge allow us to improve our smile by using low-invasive methods, such as porcelain veneers, which have various applications. Veneers are very thin shells (0.5…1-2 mm thick) made of composite, acrylic or porcelain, which are attached with a special dental cement to achieve a desired aesthetic effect. – correct tooth alignment (e.g. gap between the teeth). The advantage of veneers is the possibility of obtaining desired aesthetic effects with minimal intervention into tooth tissue. – gum disease (e.g. untreated periodontitis). Acrylic veneers used only temporarily, made of heat-polymerized acrylic polymers, last a relatively short time (up to 2 years). They are thicker and less aesthetic than other types of veneers. Composite veneers are made of several different types of components. They are plastic and it’s possible to change their colour and shape. With proper oral hygiene they can be worn for many years. However, they are not as durable as porcelain veneers. Full porcelain veneers made of various kinds of prosthetic porcelain are the best and most durable prosthetic solution. Excellent aesthetic properties, several times harder than dental enamel, consistent shade throughout use, make them the most often chosen and recommended veneers by dentists. Just a few hours after attaching the veneers to the teeth, they should be cared for similarly to other teeth using a non-abrasive toothpaste, dental floss or water pick, and mouthwash. 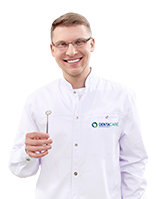 Get regular dental check-ups and cleaning, including tartar removal, sandblasting and fluoridation. Avoid stain-causing foods and beverages, such as coffee, tea, red wine and dark products. Avoid stressing veneers (chewing hard things, nail biting) as it can break or tear them off. Avoid clenching or grinding your teeth, or use a protective night guard. And if you practice contact sports wear a protective mask. The average life expectancy of veneers is estimated at 5-10 years. However, their durability depends on individual oral hygiene and the health of the patient’s teeth and gums. Although veneers are cemented to the tooth, they can become loose and fall off. In this situation it is extremely important to contact your dentist immediately. Visit us at DentaCare centres.